According to the World Health Organisation (2014), 1 in 4 people globally suffer from some form of mental disorder during their lifetime. Such statistics are common to both developed and undeveloped nations, and what is alarming is that younger age groups are more affected by mental disorders. People are affected mentally due to a variety of issues, from stress in the workplace to family problems to problems affecting society such as natural disasters and terrorism. Given the prevalence of mental illnesses, it is vital that we understand their causes holistically and how to treat them. H.H. Dr Athavale was a clinicial hypnotherapist with a strong research background in the subject and a leader in His field. When He came to Spirituality later in His life, it vastly expanded His viewpoint on the root causes of problems in life. He found that up to 90% of mental illnesses have their root cause in the spiritual dimension and if psychiatrists do not take this aspect into consideration, the results would never be optimum. 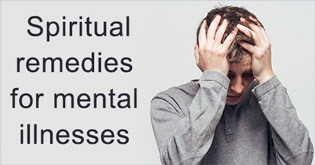 In this section we explore the nature of mental illnesses holistically and how by including spiritual practices in our daily life we are better equipped to overcome such illnesses of the mind. Mental illnesses exert a significant burden on society and this burden includes poorer educational outcomes, lost earnings, increased risk of chronic medical conditions, higher mortality rates, and increased risk of suicide. 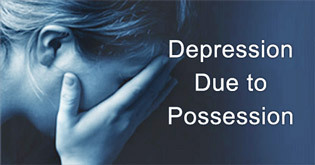 Most people do not know that mental illnesses are caused or taken advantage of by negative energies. This why we have dedicated an entire article to understanding this aspect. 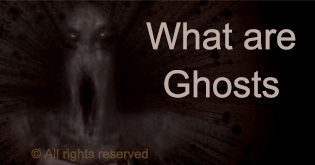 How do negative energies (ghosts, demons, devils etc.) influence people through thoughts? Our thoughts and beliefs are something we tend to identify deeply with. Our thoughts make up a significant portion of what constitutes our personality. The thought processes of 1 in every 3 people are seriously compromised and controlled by negative energies as a result of demonic possession. Keeping this in mind, it is all the more important to understand how negative energies can influence our thoughts and our behaviour. Elizabeth is a successful young woman of 27 years, with a good career in research and development. Throughout her life she has been experiencing periods of mild to medium depression approximately 6 times a year. She did not have an explanation for the depression. Ian (at the age of 31) was going through a lot of unexplained distress since childhood such as depression, seeing ghosts, difficulty concentrating, etc. This continued unabated until he met a seeker from the Spiritual Science Research Foundation (SSRF) who explained to him about how such problems in life could be overcome with spiritual practice. The following is an account of Ian’s trauma in his own words and how spiritual practice is helping him overcome it. In this case study, we share the reason behind Raul’s depression, which was due to having a suspicious nature. As a result he also suffered from a paranoid personality (delusional) disorder. The following is an account by him, of his positive turnaround due to spiritual practice. This case study examines how Alison was plagued with anxiety, negative thinking and depression for as long as she can remember. With spiritual practice she was able to come out of it. Alison shares with us her transformation from anxiety attacks to mental well-being. This is a case study of Derek in his own words. He was suffering from severe chronic depression for much of his life and overcame it through spiritual practice. This is a case study of Luis (at the age of 39), who was plagued with sexual thoughts from a very young age. The reason behind the sexual thoughts was actually possession by an entity known as a witch (chetkin). The witch would plant thoughts in his mind in order to facilitate her experiencing him in a sexual way. The problem finally went away through spiritual healing. This is a drawing based on subtle-knowledge drawn by a seeker with an activated sixth sense of vision. It depicts what the seeker perceived when taking a subtle reading of Luis, a person plagued with excessive sexual thoughts. Irene struggled with gender identity disorder for years. She felt misunderstood and was often unhappy. After starting spiritual practice with SSRF and regularly doing spiritual healing, Irene was able to overcome her disorder and be comfortable with her identity as a woman. As a result, she experienced more peace and happiness in her life. Caroline got involved in sexual relationships with other women as a young adult. As she did so, she noticed her personality changed and she was not sure she was comfortable with who she was becoming. She felt inner turmoil and grief often. After starting spiritual practice, she learned the real reason for all of this. With sincere spiritual practice, she overcame her desire to be with other women and feels far more peace and happiness in her life. This is a case study of Swati who suffered mental distress since early childhood. The root cause of all her difficulties was a continuous attack by a subtle-sorcerer (mantrik) from the subtle-world ever since she was a child. This is a case study of a teenager who developed compulsive overeating. He was unable to stop his overeating despite the best efforts from him and his family. 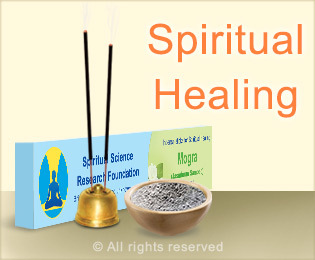 Once he undertook some spiritual healing remedies Pratik was able to overcome the problem. When Mahesh’s wife Priti entered their room at the spiritual research centre in Goa looking for him, she found the room was in disarray. The car keys were missing along with their car and Mahesh was nowhere to be found in the spiritual research centre. 6 hours later Mahesh was 500 km away with no idea how he got there. Mr Guruprasad Bapat could not find any medical solutions to overcome his condition of obsessive-compulsive disorder (OCD). Once he began to complement his medical treatment with spiritual solutions, he noticed significant improvements and is now able to go about his daily life with a positive attitude. This is his case study in his own words. Most people do not know that mental illnesses are caused or taken advantage of by negative energies. Elizabeth experienced periods of mild to medium depression approximately 6 times a year. This is a case study of Luis (at the age of 39), who was plagued with sexual thoughts from a very young age. Does the moon affect our thoughts? Leaving aside Hollywood images of werewolves howling at the full moon, we chose to study the moon's effect on humans at a spiritual level. Mrs. Christie Leung shares her spiritual journey and overcome negative thinking and anger due to spiritual practice. Mr. Auritro Mallick shares his transformation of overcoming addiction and other problems due to spiritual practice. 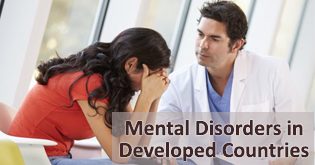 Did you to know people from developed countries are more prone to mental disorders? 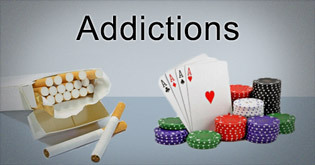 Unknown to modern science, spiritual research indicates that 40% of the causes of addictions are due to ghosts or departed ancestors from the spiritual dimension. 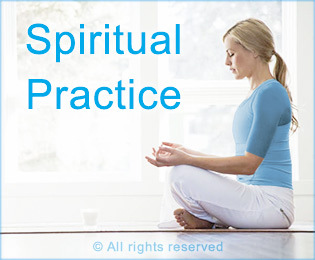 Doing spiritual practice gives a variety of benefits including increased calmness, an increase in positivity and improved ability to understand others. When you visit a mental health professional, you would likely prefer that they would be mentally healthy themselves. 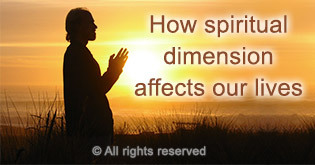 Unfortunately, due to lack of spiritual protection, most psychiatrists become affected by negative energies during the course of their practice. The main reason for this is that they deal with mentally ill patients who in turn most of the times (90% of the time) are affected / possessed by negative energies or departed ancestors. On April 13th 2011, around twenty in-patients at the “San Juan de Dios” Rehabilitation and Mental Health Centre in La Paz, Bolivia listened very attentively to SSRF’s lecture about the spiritual causes and treatment of addictions.